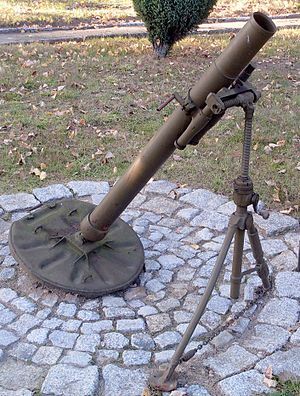 This Soviet made mortar played an vital role in support of Chinese and North Korean infantry. With artillery often in short supply to aid their infantry attacks, Mortars give the Communists indirect fire support to use against United Nations defensive positions and when the enemy attacked their own lines. The mortar shells on impact shattered into a shower of lethal fragments.